A COMPANY formed by students from Ard Scoil na nDeise in Dungarvan won the senior award at the Student Enterprise county final. 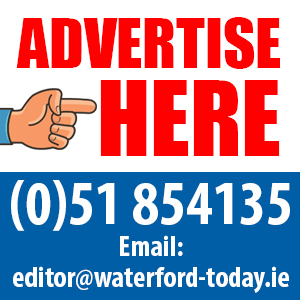 Hidden Access will now represent Waterford in the National Student Enterprise final at Croke Park on May 3 when they will be competing against 34 other businesses. Caoimhe Keane and Lauren Douris from Hidden Access designed, created and produced portable wheelchair ramps. 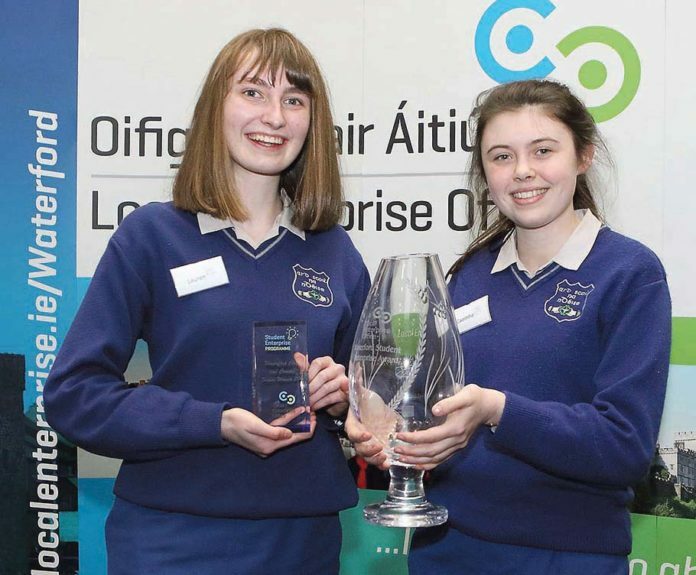 Their route to the top started in September when 1,000 students from 15 schools in Waterford city and county put forward their businesses plans. The field was then narrowed to 120 students, representing 12 schools, who competed in the Waterford final at the WIT Arena. Co-ordinated by the Local Enterprise Office Waterford, the competition is the most successful programme of its kind in the country. Richie Walsh, Head of Enterprise at the Local Enterprise Office Waterford, said the programme encourages students to develop an entrepreneurial mind-set. “By fostering an enterprising culture in the classroom, the Local Enterprise Offices are working with teachers and schools to help nurture the next generation of entrepreneurs,” he said.